We are proud to announce a partnership between 50skills and GetAccept. By combining GetAccept and 50skills, you can now easily create and send employee contracts, directly from 50skills, with a personalized video message welcoming your new employee. With Conversational Recruiting, businesses are hiring better people faster than ever before — while at the same time delivering an amazing candidate experience. Where it gets tricky, is when its time for businesses to make an offer to a candidate and get contracts signed. That’s why we are thrilled to announce our partnership with GetAccept, a market leader in personalized e-signatures! When you as an employer are ready to make a hire, a candidates profile is moved into the onboarding section of 50skills. From there you can send an employee contract and other key documents to new recruits using our new GetAccept integration. 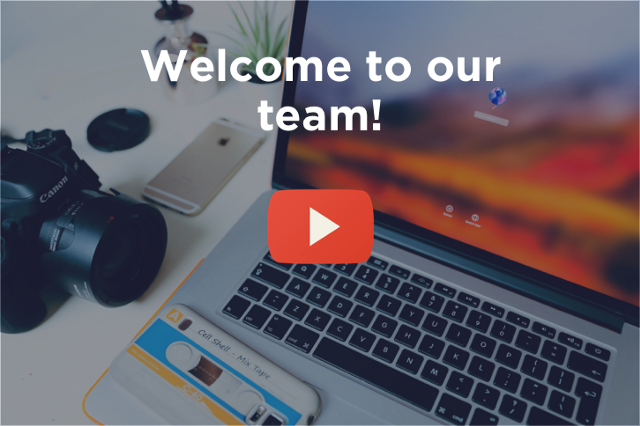 When new candidates open their employee contracts they can be greeted with personalized videos for the ultimate onboarding experience. Messages can be sent directly within the document and comments and signed contracts are sent directly to your inbox. « Introducing: Conversational Recruiting - what it is and why it works. Hypergrowth 2018 – meet the 50skills team!